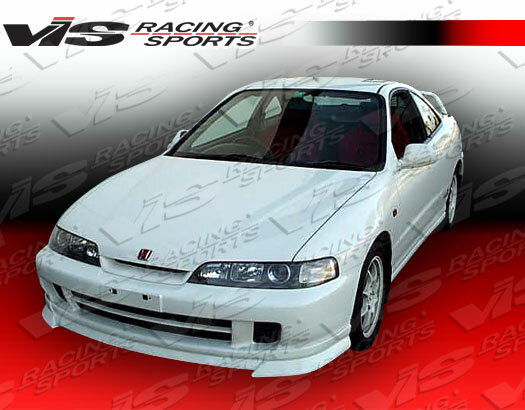 Body Kit from Honda Civic to Mitsubishi Eclipse – We have everything! 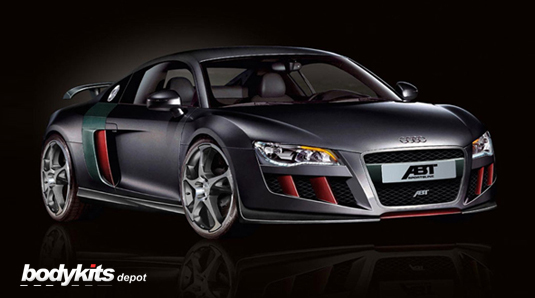 Bodykits are the number one way to transform your vehicle, and make a bolder statement than even just new rims. 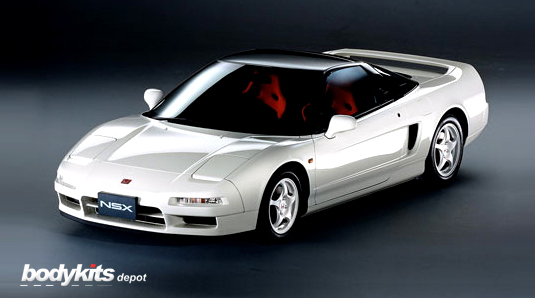 The biggest misconception of bodykits is that they will make your car look aggressive. While there are kits that will do this, there are many others that accentuate your vehicles natural lines. 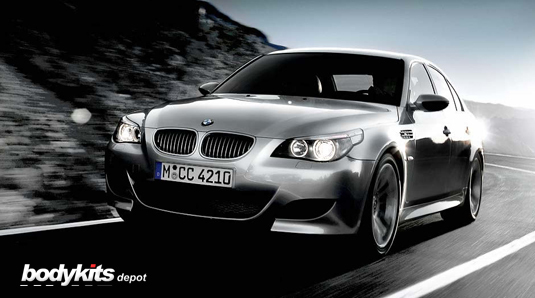 They are often also good options as replacement parts after an accident or damage, to the original parts. 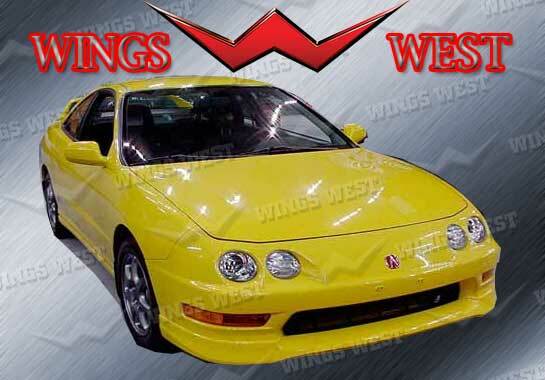 There are also a variety of materials that your bodykit could possibly be made of. A range of what we provide is FRP (fiberglass), CF (carbon fiber), Poly (polyurethane), ABS plastic, and polypropelene. If you have any questions about the availability of your product, and what material it is made from, or that you want to find a style in a particular material, please feel free to ask any of our knowledgeable staff. 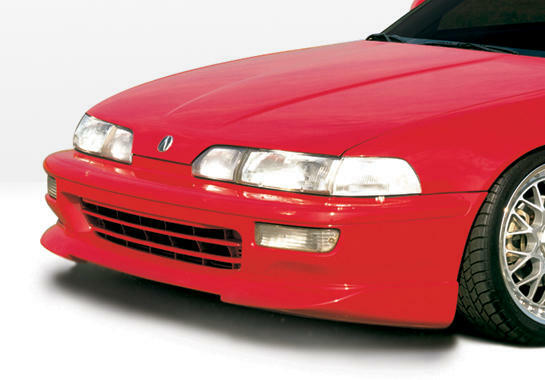 Fender Flares are the easiest way to give your car a customized look, and wider stance. Unlike full fender replacements, or a full quarter panel add on, fender flares are attached to the factory panels to accentuate the look and function. Typically, fender flares we offer would be produced in FRP (fiberglass), CF (carbon fiber), Poly (polyurethane). If there are questions about the material, or installation, please feel free to ask any of our knowledgeable staff. Unlike fender flares, the full fender will be a replacement for the original piece. The front fenders are the full piece that gets replaced, and the rear fender will go over the existing one, similar to a fender flare, except it is a large piece that doesn't just cover the wheel arch. Replacing fenders will definitely change the look of your car, if they are intricately designed, or much larger than the factory width. 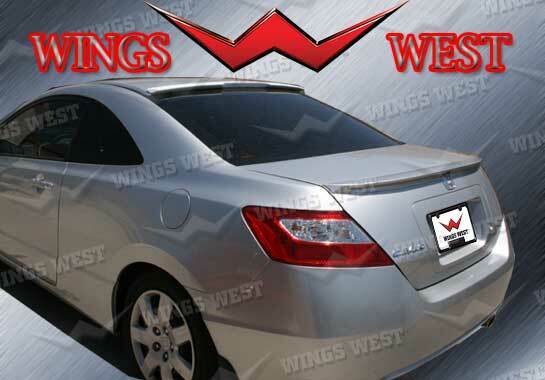 Depending on the style and width, they are a great option as a replacement for damaged panels on your vehicle. Fenders we offer would be produced in FRP (fiberglass), CF (carbon fiber), Poly (polyurethane). If there are questions about the material, or installation, please feel free to ask any of our knowledgeable staff. Hood scoops will be an addition to your factory hood, that will be attached on top. 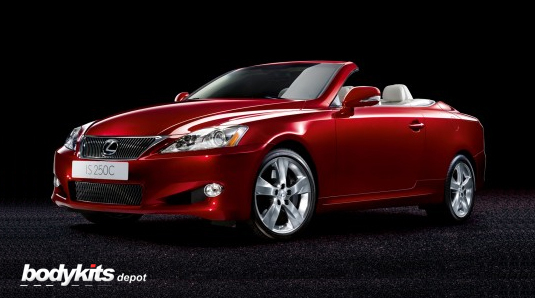 A body shop can seamlessly blend this in, as well as make it funtional, but that is all preference. Not only are they used for simple aestetic upgrades, but also as a funtional piece to draw cool air in, or alleviate under hood temperatures. 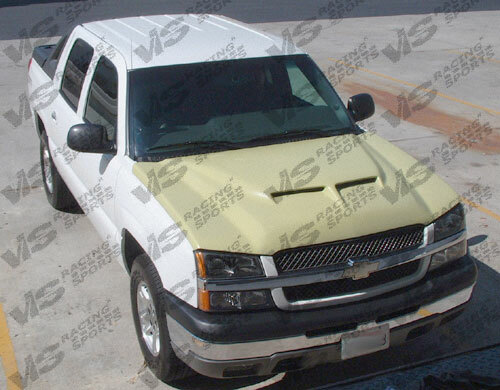 Hood scoops we offer would be produced in FRP (fiberglass), CF (carbon fiber), Poly (polyurethane). If there are questions about the material, or installation, please feel free to ask any of our knowledgeable staff. 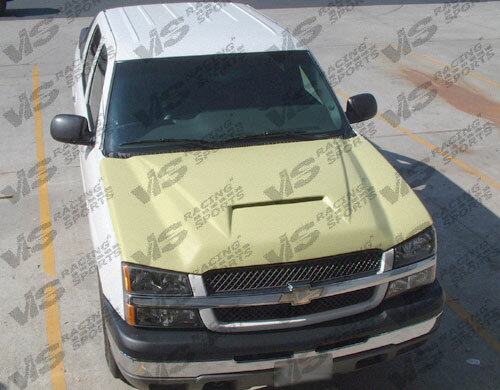 Replacing a hood has been used for customization, as well as a good looking and cost effective way to change out a damaged factory part. When using a fully customized hood, it is a one piece unit that has an even more seamless integration than using just a hood scoop. 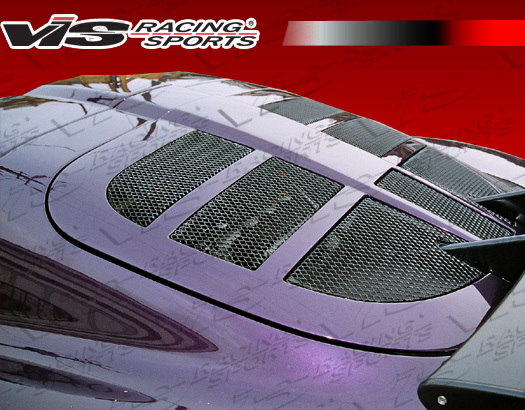 This has generally been a must have item, since customized vehicles get the look without the excess labor, and a competitive car in any series of racing from novice to expert, can benefit from the weight savings and funtionality of the vents, if the hood is designed with it. Hoods we offer would be produced in FRP (fiberglass), CF (carbon fiber). If there are questions about the material, or installation, please feel free to ask any of our knowledgeable staff. Trunks serve a few purposes for modification. Often times it is for an aestetic upgrade, and/or weight reduction. 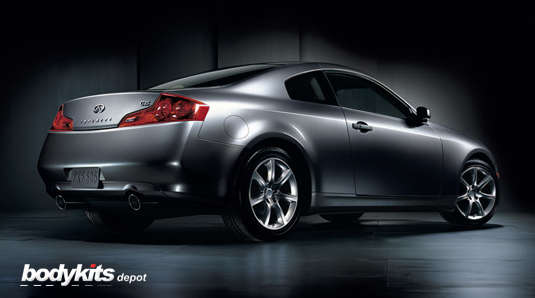 Another reason is that they are used to mount spoilers into, instead of drilling into your factory trunk. Either way, a trunk is also a great addition when modifying your vehicle. Trunks that we offer would be produced in FRP (fiberglass), CF (carbon fiber). If there are questions about the material, or installation, please feel free to ask any of our knowledgeable staff. 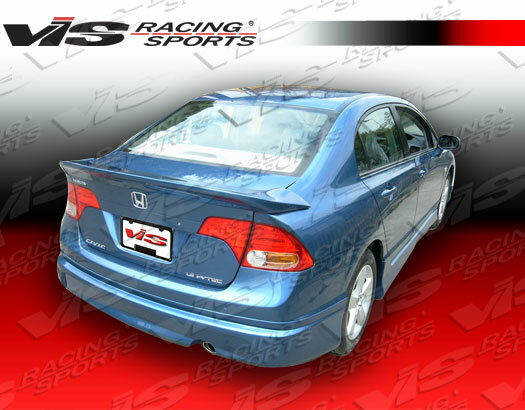 The spoilers we offer range from factory style pieces that were offered as a dealer option for your vehicle, to full customized spoilers. These are not only to accentuate and give your vehicle a customized look, but also used to enhance the aero dynamics of the vehicle. This is even more apparent if the spoiler is a race inspired design, which is also adjustable to meet the needs of your set-up. Spoilers we offer would be produced in FRP (fiberglass), CF (carbon fiber) and Poly (polyurethane). If there are questions about the material, or installation, please feel free to ask any of our knowledgeable staff. 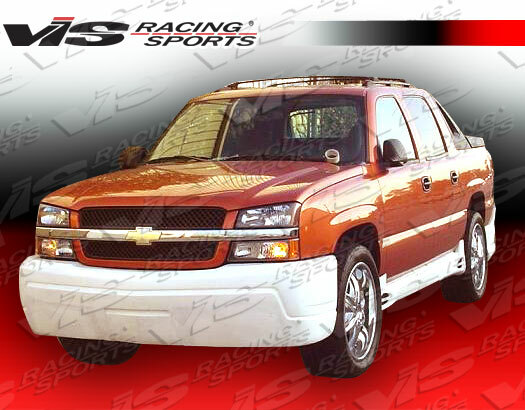 Whether you're looking to completely outfit your vehicle with a full body kit, along with a carbon fiber/ fiberglass hood and trunk, along with a spoiler, or just the individual bumpers, side skirts, or spoiler alone, we here at BodykitsDepot.com can help you out. Not only to get you the right part, but also at the right price, with professional, knowledgeable, and courteous service. The parts we provide are in FRP (Fiber Reinforced Polymer), CF (Carbon Fiber), Polyurethane, Polypropelene, ABS Plastic, and a few other options as well. If you have any specific requests, please feel free to ask what materials are available for any of the parts you're interested in.